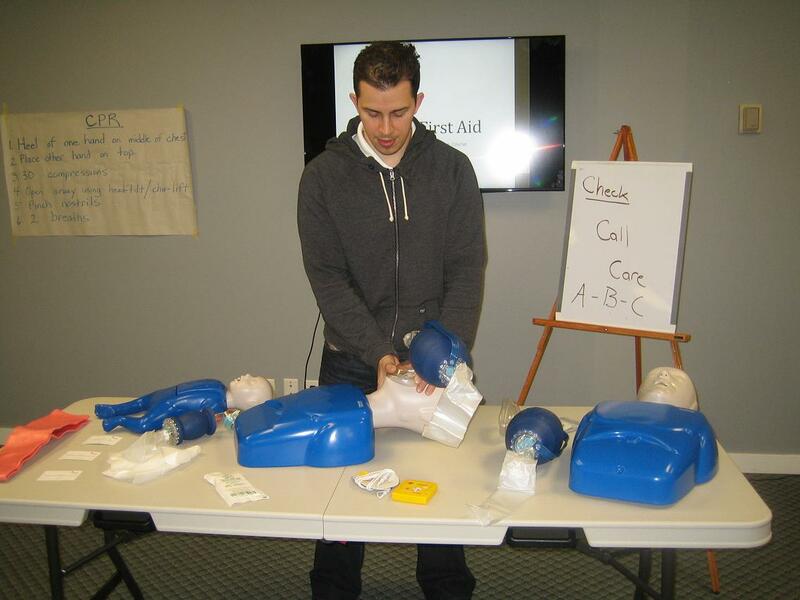 Victoria First Aid has been offering first aid programs and services on Vancouver Island since 2009. Participants can register for courses such as occupational first aid level 1, food safe level 1, standard first aid, emergency first aid, CPR level “C” and “HCP” to name a few. Participants will practice the latest American Heart Association approved techniques using mannequins and the latest equipment. This provider is proud of its experienced teachers, knowledgeable staff, high volume of courses and low prices. Build confidence in yourself, learn to save a life and strengthen your resume by attending first aid and / or CPR courses in Victoria. To register for a course or to inquire about the services available with this provider, including private courses, first aid attendee rentals, equipment and supply sales or re-certifications please use the contact information provided below. The Victoria First Aid website has the complete list of offered classes, schedules and course rates through the link. Registration can also be complete via e-mail, telephone call, on-line chat or walk-in at the training centre using the information provided below. Service representatives are available 7 days a week to help with your questions or to aid with registration. On-line registration is available via the website. Why Enroll at Victoria First Aid? Customers are able to register for a wide range of courses including WorkSafe BC approved occupational first aid level 1 training. Full refunds and transfers are available as long as you request it with more than 72 hours to the class. A wide range of services are available including the purchase of first aid supplies, rental of first aid attendants and consulting services for emergency response plans. Participants that attend and do not successfully complete the course the first time are able to retake the course at no extra cost. Register for a course today and see what Victoria First Aid has to offer. If you see any of the following signs and symptoms, call your local emergency number immediately or bring the victim to the hospital if you can move him or her. Enrol in a training course with Victoria First Aid today!